The air is crisp and cold, but your sheets don’t have to be. Choosing the right sheets to keep you toasty during the long winter nights is important. Another important consideration is the temperature in your location and the level of your thermostat. If you get easily overheated or live in a warmer climate there are still some great choices for winter time sheets. Choosing a sheet set that is breathable while still keeping you warm can be a little tricky at first glance. Familiarizing yourself with some basic knowledge about fabrics can make a world of difference. The most common sheet choices for winter time are cotton and microfiber. Both materials offer a variety of different weaves to create different levels of warmth. The weaves used in these materials also determine the fabric’s feel or texture. Cotton and microfiber are both breathable fabrics and are machine washable. Fleece is typically not as airy as microfiber or cotton blends, but is the warmest. Fleece sheets are a great choice for the coldest winter climates. The sheets are 16" Deep Pocket fitted sheet for oversized mattresses with elastic all the way around the fitted sheet for a snug fit. Deep pockets that fit mattresses up to 16" deep with elastic around the fitted sheet. There are some important things to consider when choosing the perfect sheets for cold weather. Thread count is an important factor. Choosing sheets with higher thread counts will not only be softer; they also will hold in more body heat. The more heat in the sheets, the cozier you will be as you drift off the sleep. Picking a material best suited to the your local winter climate is another factor to make note of when selecting sheets for winter. Cotton, flannel, fleece, and microfiber are all good choices for winter time. Thread count is the amount of fibers woven into a square inch of fabric. High thread count sheets are very durable and get softer with every wash. Typically thread count is most important when looking at cotton sheets. The higher you go, the pricier the sheets tend to be so getting the most value for your thread count is another important consideration. Thread count is also important when choosing microfiber sheets. Anything over 500 is great for winter use and will be more durable. Cotton is a very versatile choice for any time of year. In the summer, cotton is crisp and cool and it can also hold in a lot of body heat for the winter months. Cotton is very durable and wears well over years of use. Flannel is normally a type of cotton weave though sometimes microfiber flannel options are available. Flannel is known for being a warm and soft material that holds heat in best. Because flannel is prone to piling, you need to be sure to chose a high quality fabric. With flannel sheets, looking at material weight as well as thread count is important. Higher weights and thread counts mean longer lasting winter sheets. Fleece is another good winter bedding choice. Fleece can be prone to stretching and sometimes can lose it’s shape, but it is definitely the one of the warmest options. Fleece is another material which is best measured by weight. If you’re a fan of silk or satin, microfiber or cotton weaves can duplicate that luxurious feel. Microfiber is less expensive and warmer in the winter. While cotton is more versatile for year round use. Cotton is also slightly more durable. Any of the following sheet sets would be a perfect bedroom addition to keep away the cold. These top rated sheets also make great holiday gifts, if giving the gift of warmth and comfort is at the top of your list. Who doesn’t love Flannel? If you are looking to stay warm at night, especially in colder climates, flannel is a great pick. Flannel is also great if you’d like to sleep with the thermostat a little lower and can help with heating costs. 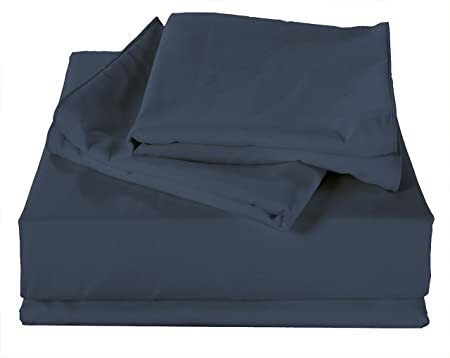 The Elite Home Winter Night Flannel sheet set includes a flat sheet, a fitted sheet, and two pillowcases. It is made with 100 percent cotton and is very breathable for those that need a balance of warmth without becoming overheated. 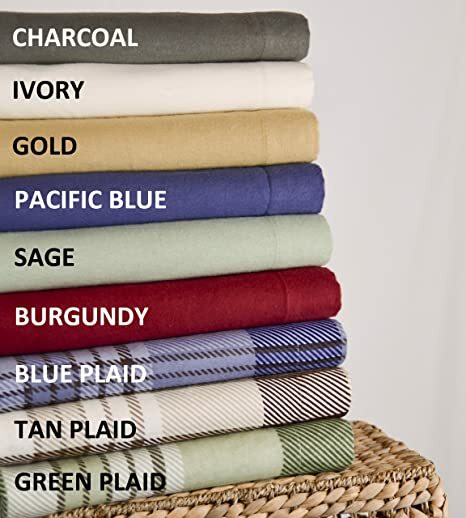 Elite Home Flannel sheets have a wide variety of colors to chose from so matching your style will be no problem. 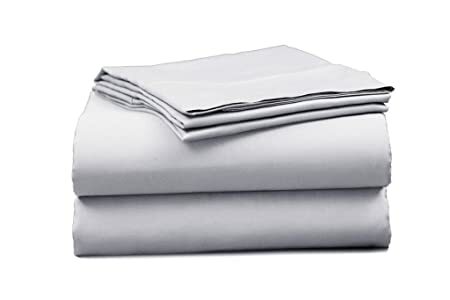 This sheet set comes in Full, Queen or King and at a very affordable cost. With sheets this soft you might just want to pull off the flat sheet (included), bundle up next to a fire and watch a movie. Having a high thread count and made from microfiber that mimics the feel of egyptian cotton, these sheets will hold heat while feeling extremely soft. These sheets are durable, hypoallergenic, and machine washable. This top pick gives you one flat sheet, one fitted sheet, and four pillowcases. Typical sets don’t include multiple pillowcases so this is a great bonus feature that makes this set an even better value. The set can be purchased in multiple sizes from full up to a california king. If you are looking for more options, this set is available in 13 different colors. The wide variety offered can meet the need of anyone’s style. These sheets by Sweet Home Collection have a great price point for such a high thread count. Sweet Home Collection offers one of the better values. These sheets are hypoallergenic, so they are great for someone with allergies. They come in a variety of colors so there is something to match any style bedroom. These sheets have a lifetime guarantee so there is no need to worry about wearing them out. They are also machine washable, a must have when selecting practical bedding. This luxurious set can cover nearly any type of bed from a full up to a california king. The Beckham Hotel Luxury set includes one flat sheet, one fitted sheet, and two pillowcases. There are fourteen color options to choose from. Having a wide variety of colors makes coordinating your bedroom fun. These soft winter sheets by Sleeping Cloud are extremely comfortable. They will keep you cozy at night with the highest of our thread counts. This set comes in all the sizes from twin up to California king. Sleeping Cloud offers the widest variety of bed size options. Because these sheets come in twin size, they are a great choice for bunk beds. Sleeping Cloud Luxury sheets come in several neutral colors, so finding a good match for your bedroom shouldn’t be a problem. These high thread count microfiber sheets are resistant to wrinkles and anti static, so there is no need to worry about messy, clingy sheets. 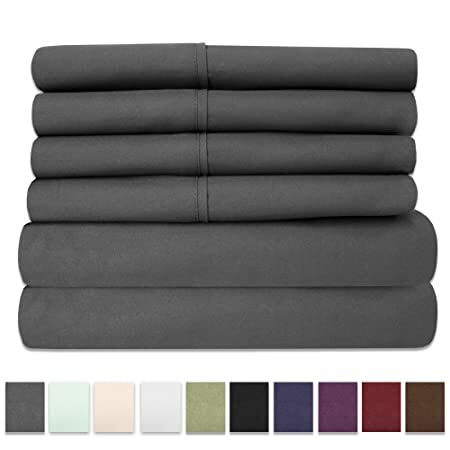 They are very breathable so you will definitely sleep tight on this set of sheets. If you looking for the soft feel of satin or silk, these sheets make a perfect choice. Elles Bedding Collection 1000 Count Sheets are made using a special weave that mimics the softer texture of satin. Elles Bedding Collection Sheets are machine washable. They are also 100 percent cotton so they will hold their shape over the years of use. This set is fit for a queen or king, even a california king. The Elles Bedding Collection set includes one flat sheet, one fitted and two pillowcases. This set is available in four different neutral color options. Sleep will come easy with these breathable sheets keeping you cozy all night long. Deciding on the perfect set of winter sheets can be fun. When you know the type of material you need, you can make the best choice for your needs. Buying a good set of winter sheets is important with the changing weather. It’s easy to find your perfect winter sheets keeping in mind your location's climate and your body’s most comfortable sleeping temperature. Look for sets that are both durable and offer the level of warmth most appropriate for your home’s temperature. 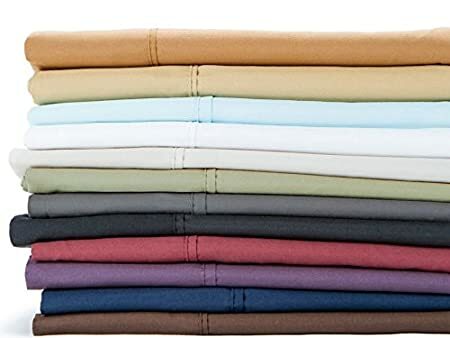 Whether you are looking for the most color options, the most durable, or the most breathable; weighing all these factors together will help you find the perfect sheet set to keep you snuggly this winter.